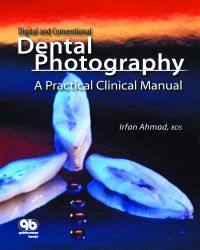 This manual presents both basic concepts and specialized techniques for dental practitioners who need to learn how to incorporate clinical photography-whether conventional or digital-into their practices. The first section provides an overview of the basic concepts and methods of photography and describes the equipment necessary for both digital and conventional techniques. The second section guides the reader in photographing various dental subjects. These chapters feature schematic illustrations of the setups and required equipment, hints and tips for achieving the desired result, and examples of the captured images. With this easy-to-use format, the reader can quickly assemble the setup and obtain the required photograph. The final section offers advice for handling finished images, including archiving, storage, editing, and presentation. This book will be helpful for all dental practitioners who want to produce technically superlative and memorable images, whether they are novices or experts in the realms of conventional and digital photography.